Sony will be entering the tablet foray starting September and I’ve got details to share with you all. Drum roll, its name will be Sony Tablet S and it will sport a 9.4 inch (1280X768) screen. It will lack Ice Cream Sandwich but will look to make that upgrade soon. So for now it will ship with Android 3.1. S1 will be equipped with WiFi and WAN (3G/4G) compatible which will allow for smooth digital access of Sony’s content such as videos, games, and books which will be available through Sony’s network. Additionally, its off-center of gravity design will create stability and make it easier to handle. This will enhance the comfort of users when they take advantage of its many functions. The biggest thing users will be looking forward to when they get their hands on an S1 is its rich entertainment system that offers various network services. S1 will also allow users to download ebooks from Reader Store 2. Not to mention access to PlayStation Suite. On Sony’s S1 users will be able to play all of their favorite first generation PlayStation titles. While playing your favorite titles you can also use Qriocity 1 to enjoy that latest music hits. Finally Sony’s S1 is designed to allow you to organize all of your content without any hassle. Samsung Galaxy Tab 7.7 Hands On Video; 7mm Thick! 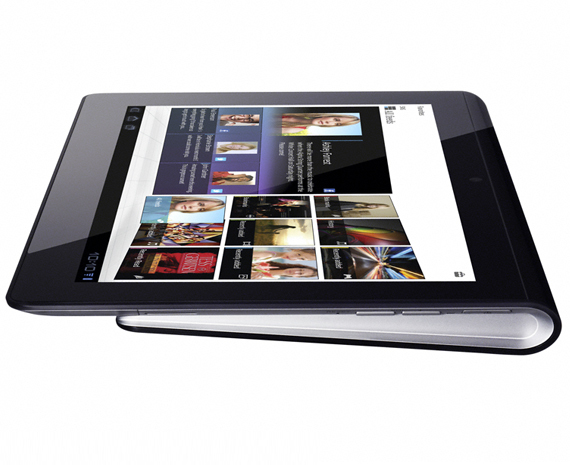 Coby MID-1125 Tablet US Version: No 3G! But $300 cheaper!